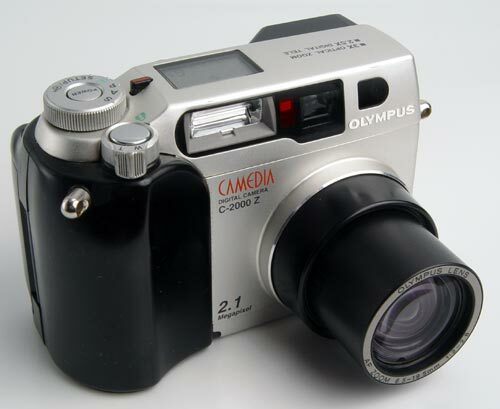 The Olympus 2000z was my first 'serious' digital camera and it is the single camera I can attributed with the resurrection of my interest in photography. It was bought from a friend who upgraded to a 3040 for the superior manual options it provided soon after buying the 2000z. As I had just bought my house and was feeling the strain of a San Francisco mortgage for the first time a pre-owned camera was all I could afford but I loved the little Olympus. 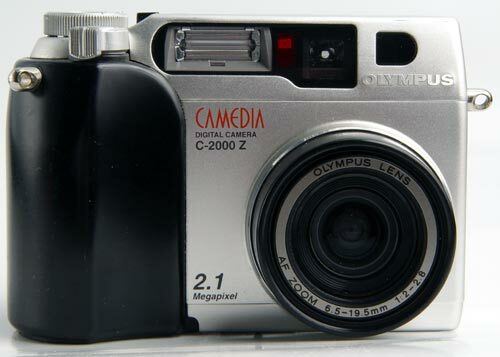 Of course, being a confirm Zukioholic the 2000z suited my style but it also fulfilled the promise of being a digital camera good enough to make you leave your film camera at home. With the move to digital I quickly found myself taking risks I never would with film; attempting to handhold the camera at 1/15th, shooting out of the moving car window just because I could... The lens is excellent and, whilst a little too big to be called pocketable, the design was typical Olympus; compact, understated and elegant. It looks like a point and shoot so people don't take that much notice of you but, with its real time LCD it has the accuracy of an SLR. The lens is fast which is good as I hate the onboard flash on most cameras, and the 2000z's even more than most. You quickly get noise in low light situations and annoying hot spots but you can still print out 5x7's that no one could guess were from a digicam. This camera went everywhere with me for three years, then, just as it was beginning to feel a little dated and tired, I got the F717 which felt like a quantum leap forward. I still leave batteries in the 2000z, however, and it has become my work-bag-camera that still goes out with me daily even if it isn't as utilized as it once was. After a couple of years and a moment's carelessness I badly scared the plastic cover to the LCD preview screen and found it hard to find anyone to even quote me for what seemed like a very simple repair. In the end I managed to get the number to the Olympus spares department who sold me the part I needed. It was then a relatively simple matter to pry off the old cover which is held on by ridiculously strong sticky tape, and replace it with the new part. My digicams now constantly sport LCD protective film so that I won't be annoyed by superficial but noticeable scratches on the camera's LCD screen. Link to pictures taken with this camera in the photoblography. I need an eye piece cover for an olympus e500. When I needed a part for an Olympus camera their parts department was 631-881-6511 and their address was 105 Crossways Park, Woodbury, NY 11797. That was a few years ago but hopefully the information still works.